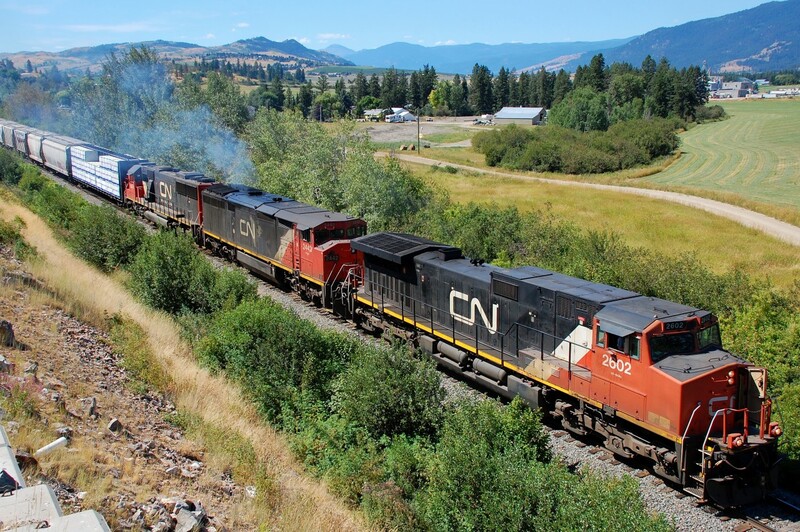 Railpictures.ca - Richard Hart Photo: From time to time, depending on the load, the local Okanagan freight requires 3 instead of 2 units. This day was such a day and CN nos.2602,2442 & 5474 are seen approaching Armstrong with a northbound train. | Railpictures.ca – Canadian Railway Photography – photographie ferroviaire Canadienne. Caption: From time to time, depending on the load, the local Okanagan freight requires 3 instead of 2 units. This day was such a day and CN nos.2602,2442 & 5474 are seen approaching Armstrong with a northbound train.